$50 plus supplies. Cotton Candy Machine. This thing is sweeeet, literally. 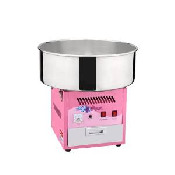 Sweeten up your party or event with a commercial grade cotton candy machine.